Illegal search and seizures most commonly arise in relation to evidence obtained in a drug charge. Police officers have restrictions in the manner and type of evidence that can be obtained. Often, police will ask for your permission to search your home, vehicle, or property. Generally, you are free to say no. Without probable cause or consent, police cannot go forward in collecting evidence. If they do, such evidence obtained illegally is not allowed to be presented against you. Thus, if police search your or your property without probable cause, even if they actually find drugs or other contraband, this evidence cannot be used in court against you. In any criminal matter, including but not limited to drug charges, illegal search and seizure is one of the most valuable defenses available to an accused. Sometimes police unlawfully take your possessions, search you or your car, or enter your home without your consent. These types of situations are often very fact-specific and require an attorney who knows the law and its practical implications. The Massachusetts criminal defense attorneys at Bellotti Law Group, P.C. have successfully handled many illegal search and seizure situations over the years, often suppressing evidence so it cannot be used against you or even having your entire case dismissed. 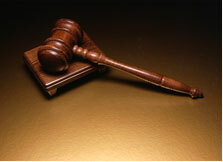 These situations also demand a criminal defense attorney with courtroom experience. Call the Boston, Cambridge, and Quincy criminal defense lawyers at Bellotti Law Group, P.C. today at 617-225-2100 for a free telephone consultation to discuss your options. We have offices in Boston, Cambridge, and Quincy and serve all of Massachusetts and Southern New England. Several of the criminal defense lawyers at Bellotti Law Group, P.C. are former prosecutors. That means we have experience working with police and other law enforcement officials, and frequently have seen similar issues or situations before. We use that experience to identify instances in which law enforcement officers have overstepped their authority and make sure that you receive the benefit of that overreach. If the police have engaged in an illegal search, the evidence seized against you can sometimes be suppressed, meaning it cannot be used against you. Sometimes that means that entire cases need to be dismissed. Contact the Boston criminal defense attorneys today at Bellotti Law Group, P.C. to discuss the facts of your case.